- This open vessel has an age and weight restrictions - must be 8 year or older and need to weigh over 100lbs & under 300lbs. Also pregnant women and those with neck or back injuries or concerns should not join an open zodiac tour - please contact us for appropriate tour options. - Please be aware that we need a minimum number of passengers booked to run our open style vessel. If we do not meet our participant requirements then you will be offered seats on our semi-enclosed vessel for the same departure time you have booked, or we will offer you space on the next available departure on the open style boat. Your reservation may be cancelled at no charge if you are unable to choose one of the above options when we cancel due to insufficient passengers to run the tour. - We recommend long pants, closed toed shoes, and sunscreen to be worn and to bring a change of clothes just in case. Enter the realm of the killer whales, humpbacks and more! Leaving from the beautiful and historical fishing village of Steveston, we head out into the Strait of Georgia and head into the islands for the ultimate wildlife experience. 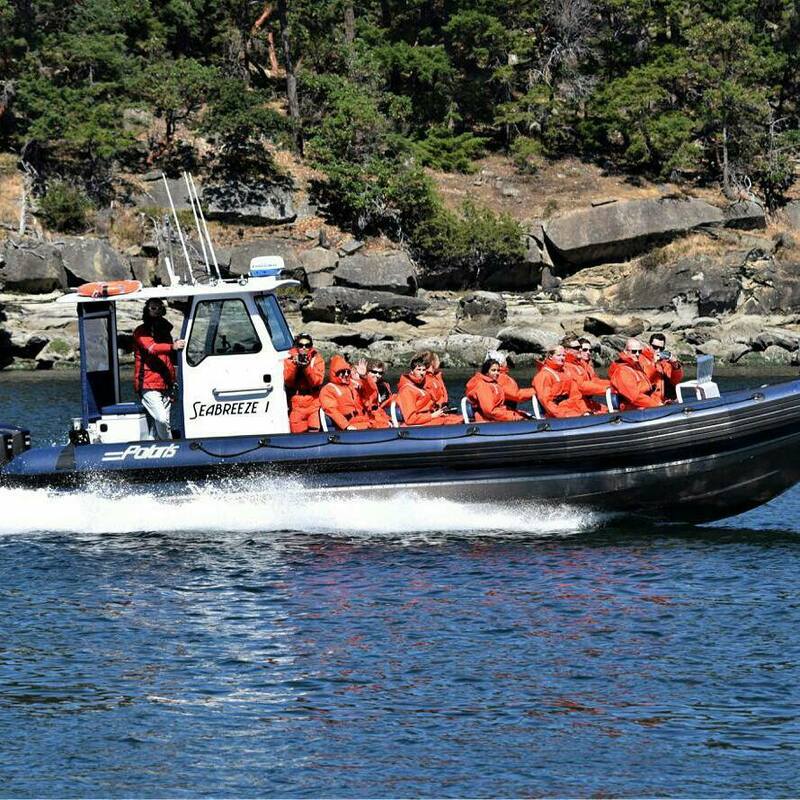 We have expert guides on board who live and breathe the pacific northwest. Many of them help participate in whale research happening on the coast and their passion really enhances the experience. On board, we have lots of educational material, water and snacks but we do encourage our passengers to bring food with them as the trips can be between 3 and 5 hours (or longer)! Luckily, Steveston has lots of great options to pick up a lunch before the trip leaves. We are approximately a 25 minute drive from downtown Vancouver and having that location a bit further south means we are closer to the action and the commute time to the whales is usually much shorter. There are lots of great transportation options to get to us, like our skytrain or city bus, but furthermore, we have company shuttles that can pick you up right at your hotel for only $10 more per guest round-trip! We have extremely high success rates in whale sightings, from orca, to humpbacks and more! Plus, if we don't see any species of whale, you get a voucher to come back for free! Book your trip today!